I can count on one hand the number of new stuffed animals that Beckett has acquired in her almost three years. She has the Rainbow Bright from my childhood and sleeps with a birthday Care Bear from Jacob’s younger days and her basket is full of hand-knit, one of kind crafts fair finds from when we were wee ones. They have character and are made with love, but they have moved from our memories to her real life. 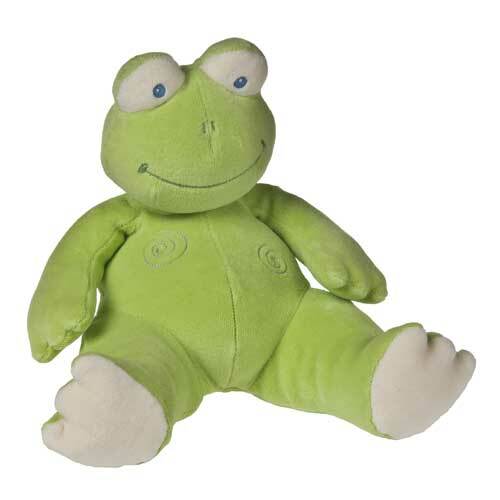 I have pulled out a few long-ago stashed stuffed animals from Jacob’s and my childhood for this new little bundle of joy we are expecting, but I have also been looking for something or someone that could be special and “just his” or “just hers” – not big sister sharing or mama or papa hand-me-down. I found it with Mary Meyer’s line of greener stuffed animals. 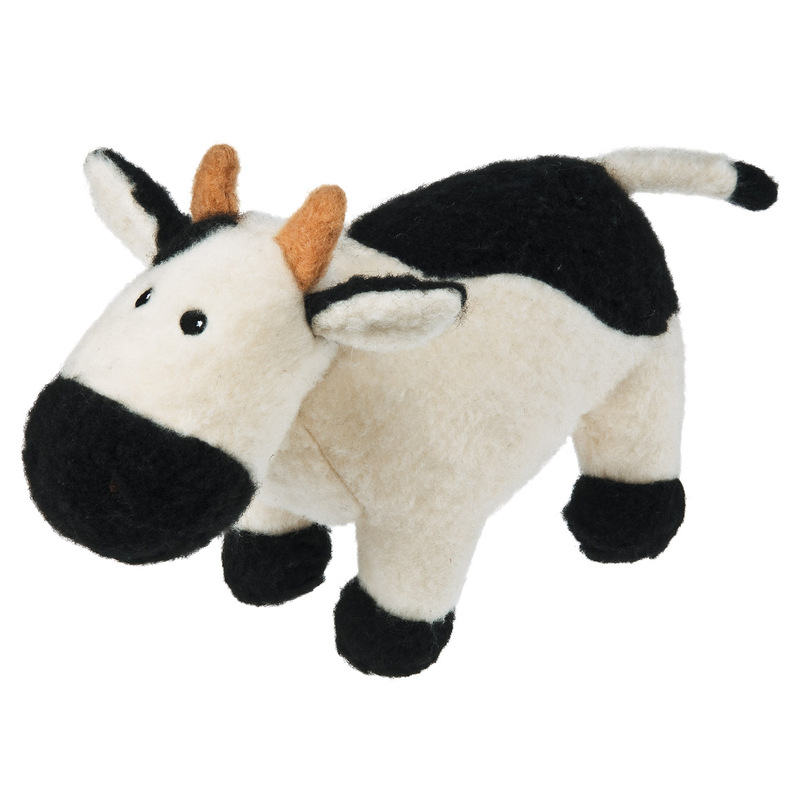 Mary Meyer is a family run business in Vermont that bears the distinction of being Vermont’s oldest toy stuffed toy company and gets 100% of its energy from cow power! Cow Power is electricity that’s been produced by methane-generators that are fueled by cow manure. 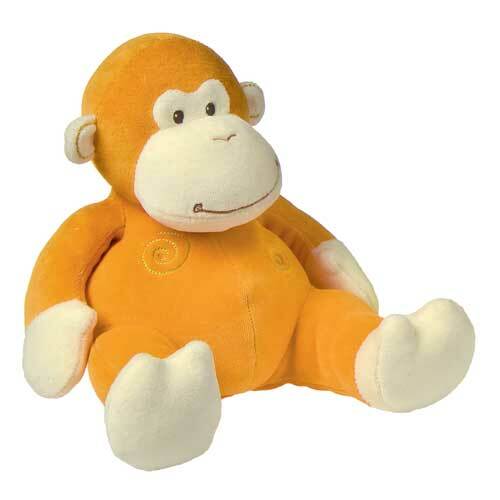 The greener line of toys from Mary Meyer includes the Earthmates made from 100% organic cotton and my personal favorite – the Fuzz that Wuzz that’s made from 100% recycled plastic PET bottles. The Fuzz that Wuzz toys are surprisingly soft and cuddly and bear no resemblance to their former counterparts. The stuffed toys have adorably curly hair that’s been gently dyed and resembles some of the most whimsical characters – a moose, cow, turtle and bear. The Earthmates collection has a sublime innocence to them. The natural dyes are low-key and perfect for a special little one. I love the rotund bellies and plump bums that have a Buddha-esque quality as the monkey, elephant and frog! Mary Meyer has done a wonderful job of keeping a small, family-run business feel while staying competitive against big-name companies by using eco-friendly materials and manufacturing methods! Where to buy? Check out Mary Meyer’s website for locations. Get socially connected: Become a fan of Mary Meyer on Facebook! Ready to cuddle with some organic cuties?! Good thing I have a giveaway lined up! Interested in entering the giveaway? Comment on this post and tell me: What or who was your most favorite stuffed animal as a child? Want additional entries? You must follow these directions and tell me about them via a comment on this post. Each of these options is available for one single entry per giveaway, not per day. Follow @sacredbee on Twitter and retweet this giveaway. Notify me of the retweet using a comment on this post. Only one entry per single retweet each day. Grab the Sacred Bee’s Badge and add it to your blogroll or website. Winners will be drawn on Thursday, June 30th at 8:00pm PST. This entry was posted in bundle of baby, nice & natural, oh! it's organic!. Bookmark the permalink. I had a pink and white teddy bear brought back from Australia. Liked Mary Meyer on FB Christine M.
These are adorable! Put me down as my “favorite” being a blanket, not an animal. Can’t remember any stuffed animal. “Boeing Brown Bear”, a classic brown teddy bear with a red bow. won for me by my grandpa at a work picnic of my dad’s. It sits in our soon to be baby’s crib right now…but I would love to get a new special stuffed animal for our little one! I had a couple of favorites. One is a Fievel stuffed animal. I’ve kept it all these years and now my kids have it. Loved my winnie the pooh! My favorite stuff animal was a hello kitty my godmother bought me. I love it and lugged it around everywhere I went. My favorite stuffed toy as a child was a little smurfs doll! I had a giant teddy bear that I loved very much. I follow you on Twitter and tweeted about this giveaway at http://twitter.com/likwan/status/86626416678019074. I posted this giveaway on Facebook at https://www.facebook.com/likwan/posts/178854085508185. I follow Mary Meyer on Facebook under the name Lily Kwan.